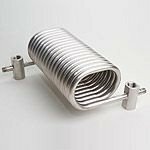 Exergy's extensive engineering expertise, unique designs and manufacturing techniques allow us to provide the most compact heat exchangers. 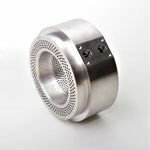 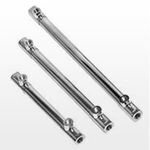 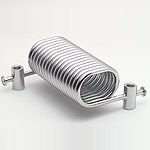 We offer a comprehensive catalog of Shell and Tube heat exchangers,Tube-in-Tube heat exchangers and Point-of-Use (POU) sampling systems constructed of 316L SS, Hastelloy, Inconel, Titanium and other alloys. 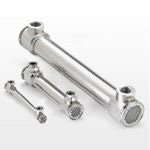 Known for our high quality, we are the vendor of choice for companies worldwide in the pharmaceutical, biotech, sanitary, industrial and process industries for our off-the-shelf and custom designed products. 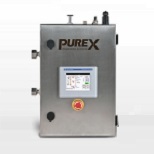 Our goal is to continually exceed our customers' expectations for customer service, quality, and value. 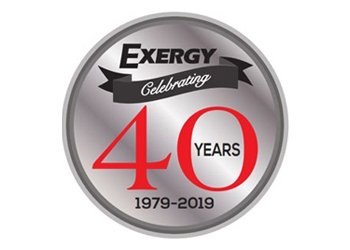 Exergy's engineers will evaluate your requirements and recommend the optimal solution that meets your specifications, delivery and budget.